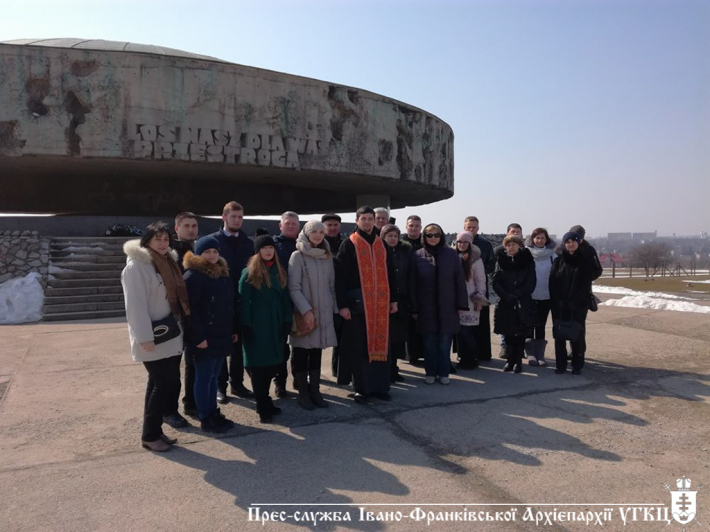 During March 24-25 faithful of Ivano-Frankivsk took part in a pilgrimage to Majdanek – the place of death of The Blessed hieromartyr Omelian Kovch. The pilgrimage was accompanied by the deputy director of the Commission of Youth and Pilgrimage Center of Archeparchy of Ivano-Frankivsk Fr. Mykhailo Vikhot. On site of the former concentration camp Majdanek participants of the pilgrimage conducted a memorial service for the victims of Nazi regime.